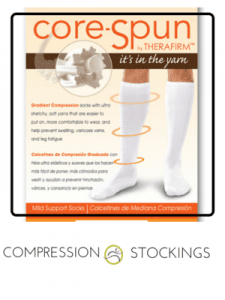 Leduc Physio has partnered with Therafirm , CEP, and Medivan compression garments. We carry a wide variety of colors, types, and compression levels. The compression in the socks will lessen over time, so it’s important to replace your socks yearly.